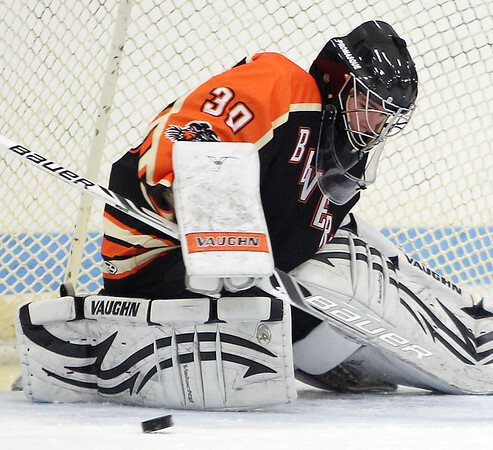 Beverly freshman goalie Troy Doyle (30) kicks out his right pad to make a save against North Reading on Monday afternoon. DAVID LE/Staff photo. 1/19/15.